Students banging drums and carrying signs decrying man-made climate change gathered around the European Parliament. Police said the 35,000-strong gathering was the biggest turnout of recent times for a student protest in the Belgian capital, which is also home to European Union institutions. “If we skip every Thursday, if we don’t go to school, the big people in our country and in the world will see that this is a problem,” said high school student Joppe Mathys. A nine-year-old girl, who gave her name only as Lalla and was with her teacher, said it was time people stopped driving cars and walked and cycled instead. “Dinosaurs thought they had time too,” read one banner. 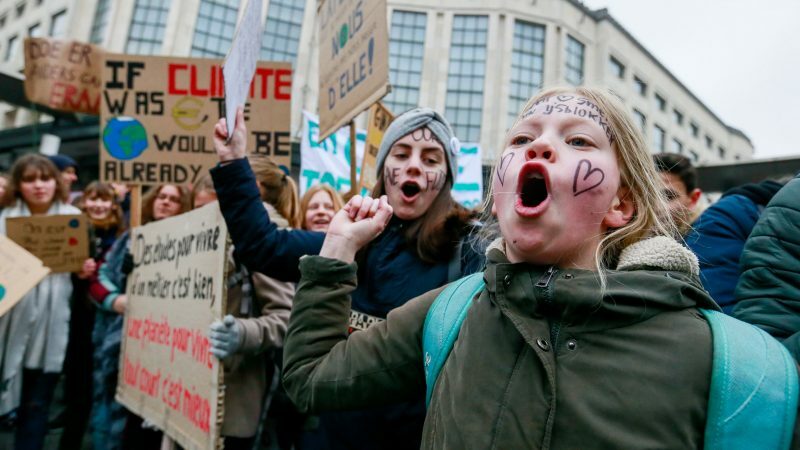 Belgian school students feel abandoned by their politicians so they have started a weekly strike for the climate. Their protests pose a major question about how young people are represented in politics ahead of the EU elections in May. Brussels police spokeswoman Ilse Van de Keere said the student demonstration was the biggest in recent memory. 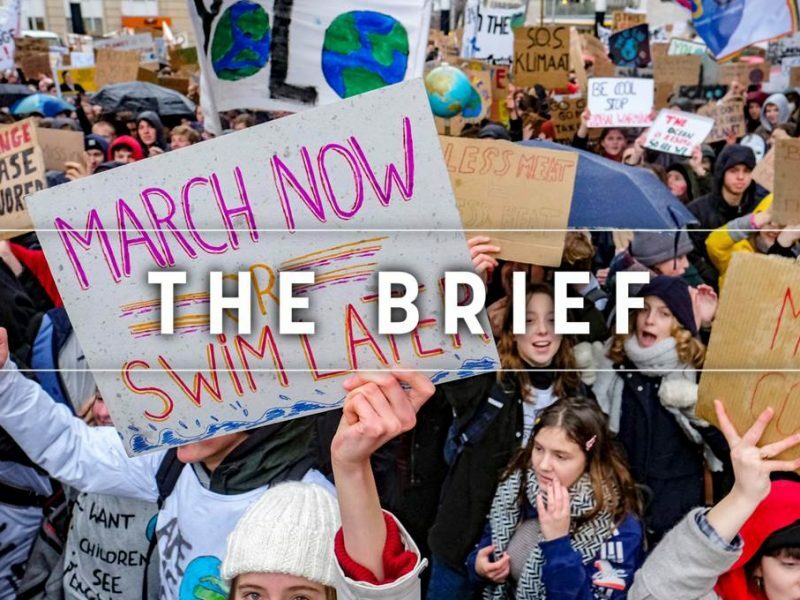 Broad protests started across Belgium on 2 December with a “Claim the Climate” march, when over 65,000 demonstrators called for Belgian and European leaders to adopt ambitious climate policies in line with goals set by the Paris agreement in 2015. That demonstration came before the COP24 UN climate summit in Poland, where a report was released ranking Belgium 31 out of 60 on the 2019 Climate Change Performance Index, or a “medium” performance in implementing the Paris agreements. Brussels has been regularly ranked as one of the most congested cities in western Europe in recent years due to Belgium’s high population density and large number of commuters. That is also a mark of shame for a capital where the EU sets European climate policies. Across the EU, road congestion costs the bloc one percent of its annual economic output, or €100 billion per year, according to the European Commission. 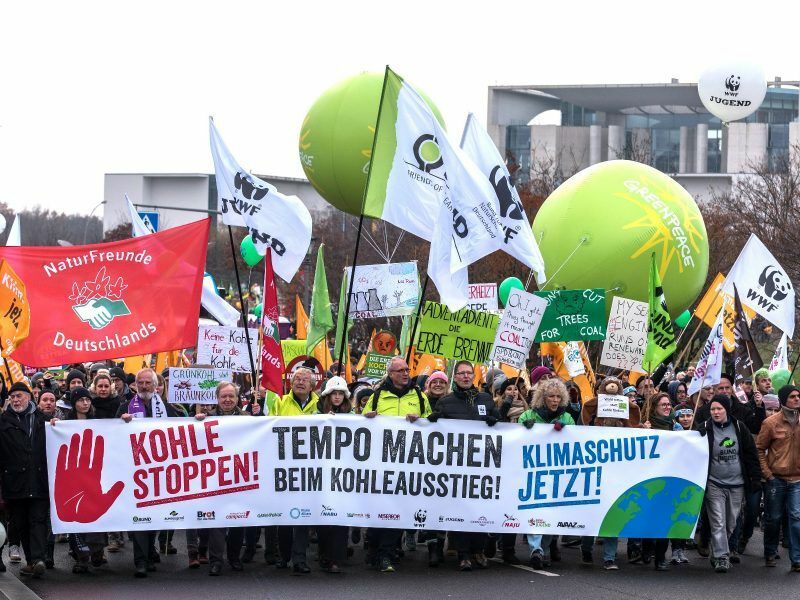 In the run-up to the UN climate conference, which began in Katowice in Poland on 2 December, many thousands of people demonstrated to support accelerating the phasing out of the coal industry. EURACTIV Germany reports. Being old, I will see some moderate climate impacts before dying. People in their 30s will see more significant climate impacts before dying. The children demonstrating in Bx will see substantial climate impacts – some of which will directl;y/indirectly will kill them. Meanwhile in the EC/Council/EP legislative discussions over target this and target that with respect to emission reductions resemble two bald men arguing over a comb (the latest ITRE vs Envo EP committee shouting match is one example). The EC, which sets the legislative tone claims that 2030 and 2050 “targets” are ambitious – indeed, net-zero is not bad. Missing is the emergency action needed to get there. The overall “view” continues to be “business as usual” (BAU) with twiddling at the edges – gradualism rules – OK! The member states make zero effort to tell their populations the reality of the situation & how it will look in the future. Taking the so-called “migrant crisis” – this ain’t a crisis – give it ten years and there won’t be a few tens/hundreds of thousands trying to get to Europe – there will be tens of millions. All due to climate change. What you going to do then? Machine gun them in the sea? To the children demoing in Bx the other day – personally, I apologise for my hooligan behaviour with respect to emissions. I have been doing something about that since the mid-1990s. Unfortunately many of my age cohort still think they can continue as usual – BAU. Some of them will be your parents – maybe it is time to talk to them? Maybe you already do.